What's My Home Improvement R.O.I.?? Are you looking to update your home before a potential sale? Not all renovations pay for themselves at the closing table. If you’re in the process of selling your home, or just thinking about it; one of the first considerations is usually – should you do any home improvements before listing. Is that kitchen countertop outdated? Should you buy new carpet? What improvements should you make to ensure you get the best possible sales price when you list? 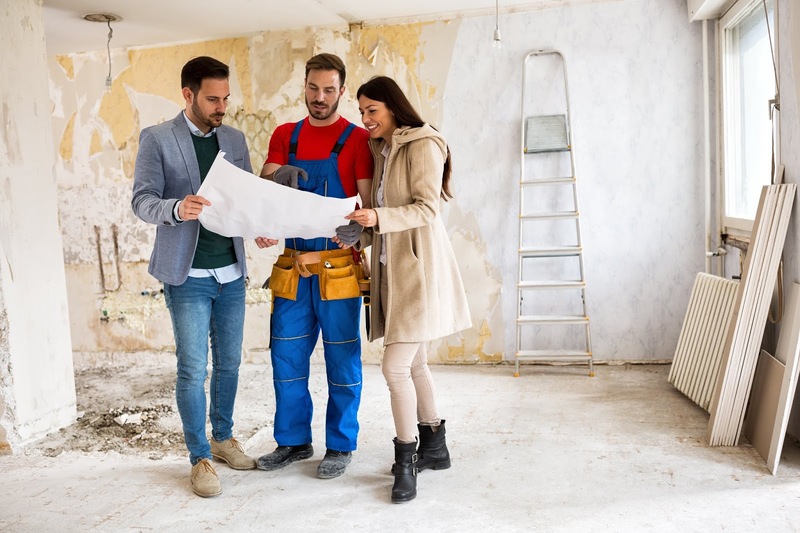 Guessing about the improvements, renovations or upgrades that make the biggest impact in sales price is really just a gamble. Design trends change so quickly that what is popular today could be dated tomorrow. Fortunately there are some timeless changes you can make to help present your home in the best possible light. Green Energy - The "Green" movement is here to stay. Consider upgrading to energy efficient appliances and systems. Gardens which are water-friendly and low maintenance are also great investments. Painting - Fresh paint, inside and/or out, is also a great way to spruce up the home. Designer magazines are filled with new palates and while a soft green might not appeal to every buyer, if it compliments your décor, it will show off the home in a modern light. Spa Bathrooms - 2018 was considered the "Year of the Spa" in designer circles. Soft lighting, fresh colors, and a clean and welcoming bathroom are definitely a plus for today's home buyer. Outdoor Living - While building an outdoor kitchen might not be in your budget, section an area of the yard where family and friends can gather for a meal or relax by the pool. Showcase Florida's warm indoor/outdoor lifestyle! Bonus Rooms - If you have a spare bedroom or loft, consider converting the space into a media room. From home theaters to simple gaming/family spaces, bonus rooms are more popular than ever. Selling your home is a big decision! Before you spend extra time, money, and energy on home improvements, make sure the home is clean, maintained, and decluttered. Then if you want to take it to the next level, consider a few updating projects to take it there! best R.O.I. if you make any of these updates! trip down the side of our headquarters. The Keyes Company is an incredibly community-driven organization. We have to be. Our job is to sell in our communities! Our philanthropic involvement in supporting these communities centers around four essential components of their infrastructure - education, children, healthcare, and home. 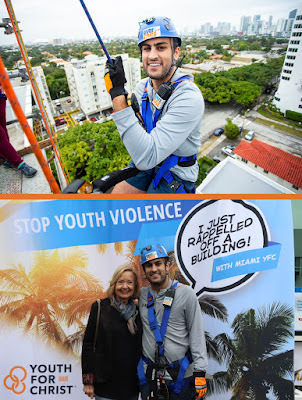 On a rainy Saturday in late January, we continued that mission by hosting the 3rd Annual Miami Youth for Christ Over the Edge event. 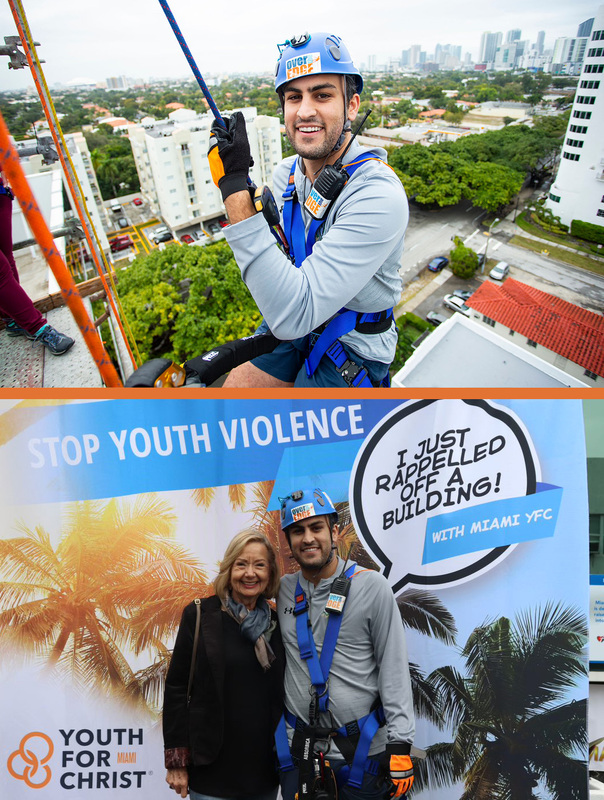 This year, 72 people rappelled down our headquarters in Miami, FL to help raise money to end youth violence in our communities. Christina Vega from Keyes' Brickell office scaled the building as our representative in this year's event. Past years saw multiple company executives participate, including President and CEO Mike Pappas in 2017. This year's event raised over $160,000. "Miami YFC is deeply grateful for our partnership with The Keyes Company and their desire to better our community by investing in our youth," remarked Executive Director Bonnie Rodriguez. the beneficiary of funds raised by the DCC. 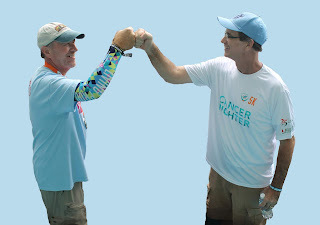 The Keyes Company is proud to once again partner with the Dolphins Cancer Challenge. The mission is simple. Raise money for cancer research at the University of Miami's Sylvester Comprehensive Cancer Center. Since the first event, over $27.5 million in total giving has gone to the Center. The goal? That every cancer diagnosis comes with a 100% chance of survival. Keyes first partnered with the DCC in 2014. Since that time, we have donated over half a million dollars while sending over 500 total #KeyesCancerFighters to participate or volunteer. This year's event takes place on April 6th, 2019, with walkers, runners, and cyclists capping months of training and fundraising with a one day event that ends at Hard Rock Stadium. We are proud to participate with this incredible event, and have to give special thanks to Jo Ann Mazzeo, Mark Sadek, and Carlos Villanueva (among others) for their tireless work in getting as many participants to raise as much money as possible for this year's edition of the DCC. Are you interested in participating? Find More Information and Register Here! Did You Remember Your ID? 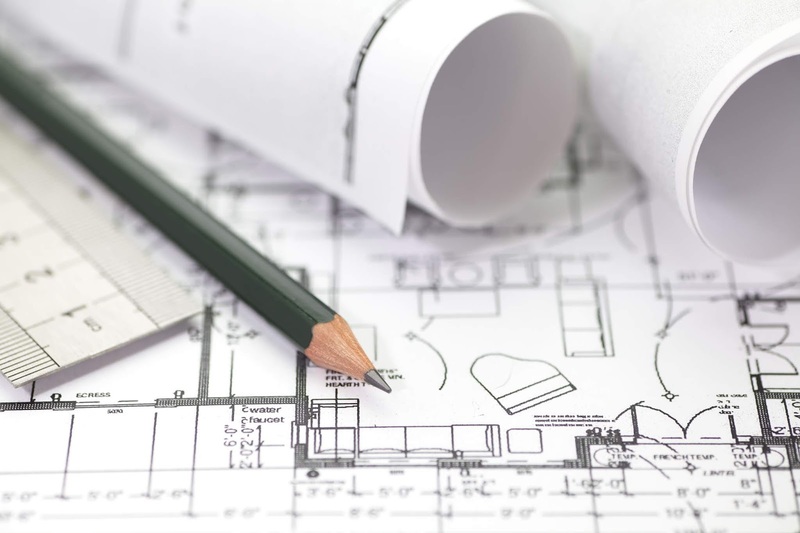 Buying or selling a home is an incredibly detail-oriented process. Outside of either finding and agreeing to purchase your dream home or finding a buyer who is willing to make an acceptable offer for your current home, there are copious amounts of paperwork involved in getting to the closing table. Once you get to the table to sign closing documents, you won't want to waste a moment on an easily avoidable mistake like forgetting a proper form of ID. Not all identification documents are acceptable at closing, and some correct forms of ID might not have the correct signature. Simple enough, right? Not to worry. Marlen Rodriguez is our guest blogger today and has years of experience navigating the closing process with buyers and sellers during her time with our Family of Services division Title company, HomePartners Title. I'll let her explain it. One of the most important items you need as you get to the closing table is proper identification. In order to defend against fraud and forgery, state notary laws include requirements that parties signing documents in real estate transactions provide acceptable forms of identification at closing. The best documents include a valid state-issued driver’s license or non-driver ID, a United States passport, or a valid U.S. military ID. The documents must be current, have your photograph, physical description and signature of the party. They must also contain a serial, or other identifying number. Unacceptable forms of ID include a temporary driver’s license without a photograph, Social Security card, employee ID badge, or a permanent resident ID card. It’s also important to note that the signature on the closing documents must match the signature on the documentation that you bring with you to the closing table. An abbreviated form of signature may be acceptable, but you should clear this with your lender and your title agent prior to the actual closing date. A good tip is to discuss this with your title agent early in the process. If you have any questions or concerns about forms of ID or signatures on documents, our representatives at HomePartners Title are ready to answer them and make sure you are prepared for your closing.